Match up with Citrus Kiss Aftershave Balm. 150ml, screw top tub with aluminium lined lid and PET clear plastic recyclable and reusable container. Paraben and alcohol free, also free of artificial colourants. Plop a small amount of Citrus Kiss Shaving Cream into a shallow bowl and with a wet shaving brush whip the cream into a rich, creamy texture. When the brush is loaded with lather paint it into your beard bristles and shave as normal. The scent is sophisticated, lots of mild citrus scents with orange, lime and lemon to the fore. 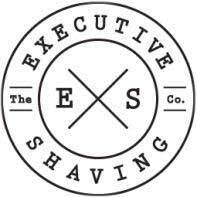 As with all Executive Shaving Company own brand shaving creams expect a rich lather that protects the skin while you shave. Made in GB. Match up with Citrus Kiss Aftershave Balm. AQUA (WATER), STEARIC ACID, MYRISTIC ACID, POTASSIUM HYDROXIDE, GLYCERIN, COCONUT ACID, BUTYROSPERMUM PARKII (SHEA) BUTTER, CITRUS GRANDIS (GRAPEFRUIT) PEEL OIL, D-LIMONENE, PARFUM (FRAGRANCE), TRIETHANOLAMINE, PHENOXYETHANOL, MENTHYL PCA, SUCROSE COCOATE, LIMONENE, CAPRYLYL GLYCOL, CITRUS MEDICA LIMONUM (LEMON) PEEL OIL, SODIUM HYDROXIDE, MENTHOL, POLYACRYLAMIDE, HEXYL CINNAMAL, LINALOOL, BUTYLPHENYL METHYLPROPIONAL, CITRAL, DIPROPYLENE GLYCOL, GERANIOL, CITRONELLOL.